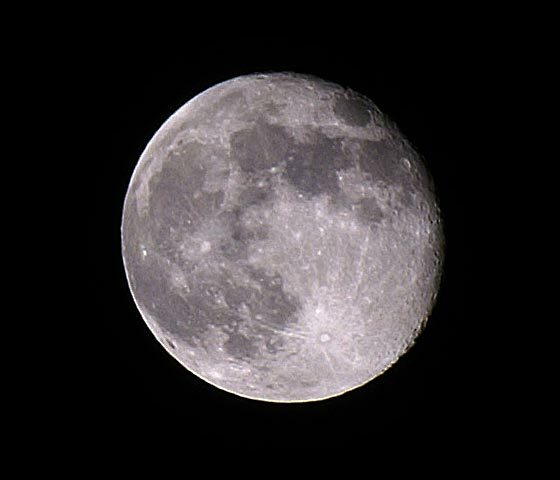 The following photos of the moon were taken with a digital SLR Minolta Dynax/Maxxum 5D and a budget Sigma 70-300mm zoom lens in November 2005. 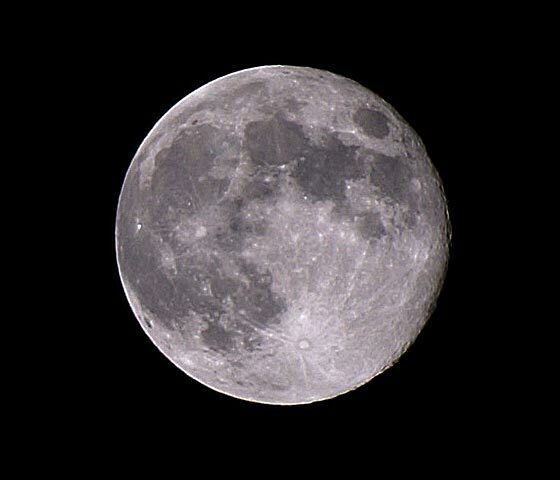 I wanted to find out what's possible with a zoom lens with a focal length of 450 mm (35mm equivalent). Settings: 100 ASA, aperture priority, f/8, one f-stop underexposed, spot metering, focal length 300 mm (eqivalent to 450mm for 35mm cameras), autofocus, auto whitebalance, Antishake off, self-timer 2 sec (mirror locks when button is pressed). The camera was put on a tripod. Post processing : The images are 100% crops of the original photos. The photos have been sharpened intensively. In addition, I adjusted lightness and contrast.